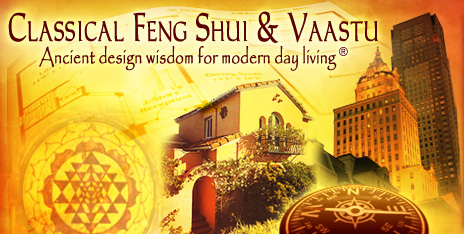 The 5 Biggest Feng Shui & Vaastu Mistakes Most People Make... And How to Avoid Them! "One of Rupal's recommendations was worth $60,000"
I own a software and Internet development company and I have Rupal Turner do my Feng Shui on a monthly basis. I'm a business person so I need to see solid return on money I spend. In any month, I directly attribute $12,000 to $24,000 in revenues to the adjustments Rupal helps me make in my environment. I follow her advice and I have the best chance to minimize problems and maximize money and growth. Last month, in fact, I got $60,000 in new work from a client. The work seemed to come 'out of the blue,' but I knew it came from energizing the month's money energy. "Rupal is my edge on the Hollywood competition"
As an agent in the entertainment industry, I am always trying to get a leg up on my competition and hiring Rupal Turner was one of the best business decisions I've ever made! After we started working together, my income increased by 300%! Rupal was also able to tell me things about my personal life and my health that she had no previous knowledge of, and she enabled me to make the changes to prevent negative things from happening. Rupal Turner may very well be one of the best-kept secrets in Hollywood! while other ventures prosper despite no apparent advantage? More than 75 percent of the problems of unprofitable companies are caused by energy imbalances in the business environment. Having good Feng Shui and Vaastu in the workplace can immediately improve profitability, employee moral, work performance, and relationships with prospects, customers and suppliers. Contact us for more information or call 301-987-0108. Is your office designed for optimum productivity and profitability? Despite your hard work – and all the time and money you invest in training – you keep coming up against business problems you just can’t seem to control or fix. That’s because you’re trying to fix the symptoms rather than the root causes. Feng Shui and Vaastu can give you a powerful competitive advantage in these situations, identifying not only the root problem but how to solve it. Are you ready to expand? Do you have the chance to take over an adjoining suite? Don't let renovations run you into a brick wall! If you’re about to expand into new office space, investing in a Feng Shui and Vaastu consultation can make all the difference to the future of your business. That’s because a Classical Feng Shui horoscope of your building can identify the unseen influences in your workspace that will have a profound impact on productivity and profitability of your business and the lives of the people who work there. good fortune and prosperity... or disaster? Design your office space so that you, your employees, and your business enjoy the greatest possible prosperity, good fortune and harmony. The results of your consultation can take whatever form you choose, from a “ground up” design of how everything and everyone should be placed, to prosperity-enhancing modifications to an existing layout, or even simply the most auspicious positioning of important people and equipment into the right places. If you’re about to construct a new building or build-out new space, investing in a Feng Shui and Vaastu consultation can make all the difference to the future of your business. That’s because a Classical Feng Shui horoscope of a proposed building or new space can identify the unseen influences in your workspace that will have a profound impact on productivity and profitability of your business and the lives of the people who work there. Just as the seasons change, so do the energies and astrological influences affecting your office. In Asia, Feng Shui is recognized as a powerful competitive tool in this regard, giving companies the power to look ahead and neutralize negative influences and to be more aggressive in times when the energies of prosperity and luck can propel a business to almost unheard of success. Once your business has had an initial Feng Shui consultation, a yearly assessment provides this simple – yet powerful – tool for making the most of what’s coming throughout the year. Contact us now or call 301-987-0108. Are you opening up a bank account, making an investment, or incorporating a business? Believe it or not, the date you select has a tremendous impact. If you buy stock on a day when there is money luck in your chart, you’ll make money. If luck is missing that day, I guarantee you won’t make money. If you are incorporating a business, there are specific dates to schedule your incorporation so that the energies can support a most successful outcome. In Asia, people will not schedule major business events without checking whether or not the date is auspicious — days when the planets are aligned in your favor for a certain event. This may sound silly to westerners, but the astrology of the day that you choose already reveals a lot about where you’re headed and the probable outcome. Using Classical Feng Shui to assess the date of an event can reveal whether it has good energy for you. Assessing birthdates and the projected date of an event can show whether the end result will be successful or troublesome. Problems aside, using Classical Feng Shui to pick an auspicious date helps attract positive energy to further bless the event. Copyright © 2007-2018 Rupal Turner - All Rights Reserved Worldwide..